This may include your name, e-mail address, mailing address, phone number, and credit card information. We implement a variety of security measures to maintain the safety and security of your personal information when you place an order or enter, submit, or access your personal information. First, we use a secure server. All sensitive/credit information is transmitted via Secure Socket Layer (SSL) technology and then encrypted; and, it is only accessible by those authorized with special access rights to such systems (who are required to keep the information confidential as well). We use McAfee, and they validate the security of our site daily. Second, after a transaction, your private information (credit cards, social security numbers, financials, etc.) is not stored on our servers. None of your information (whether public or private) will be sold, exchanged, transferred, or given to any other company for any reason whatsoever, without your consent, other than for the express purpose of delivering the purchased product or service requested. 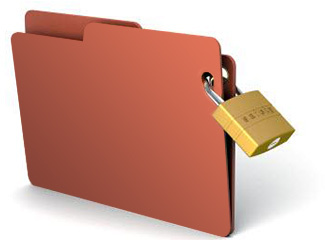 We do not sell, trade, or otherwise transfer to outside parties your personally identifiable information. This does not include trusted third parties who assist us in operating our website, conducting our business, or servicing you (such as delivery carriers and payment processors), so long as those parties agree to keep your information confidential. We may release your information when we believe release is appropriate to comply with the law, enforce our site policies, or protect ours or others rights, property, or safety. Also, non-personally identifiable information may be provided to for marketing, advertising, or other uses. Cookies are small files that a site (or its service provider) transfers to your computer’s hard drive through your Web browser (if you allow) that enable the site to recognize you and remember certain information. If you prefer, you can choose to have your computer warn you each time a cookie is being sent or you can choose to turn off all cookies via your browser settings. Like most websites, if you turn your cookies off completely, some of our services may not function properly. However, you can still place orders by contacting our Customer Care Cent4er at 1-800-315-4428, as we are more than willing to assist you. We are in compliance with the requirements of COPPA (Children’s Online Privacy Protection Act) as we do not collect any information from anyone under 13 years of age. Our website, products and services are all directed to those who are at least 13 years old, or older.